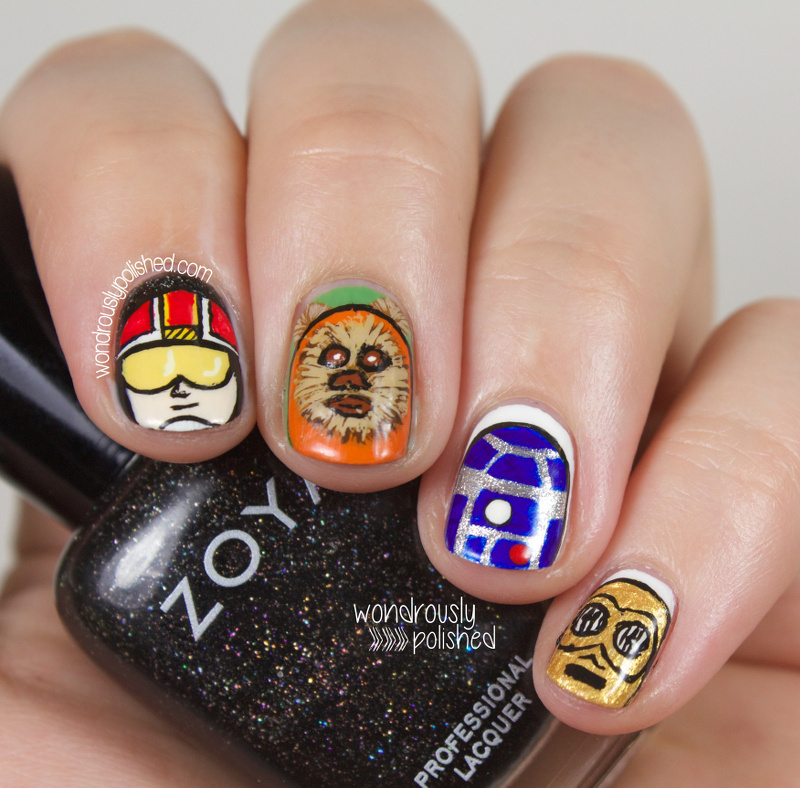 I did a May the Fourth mani last year and had so much fun with it, that I figured I'd give it a go again this year. Unfortunately, I'm not as big a fan of what I created this year as what I did last year. I think I was a bit overzealous with my characters and failed to actually recreate them on my nails. So, instead of Star Wars, it looks like I painted random cartoon characters on my nails...but since I spend so long on these, I figured I'd share anyway! I suppose this is a reminder that not all nail looks are a success? I used acrylic paint for all the characters, though I did have a base of Zoya's Storm, Purity and Josie. I went with a Rebel Fighter Pilot on my index, a (creepy, sorry!) 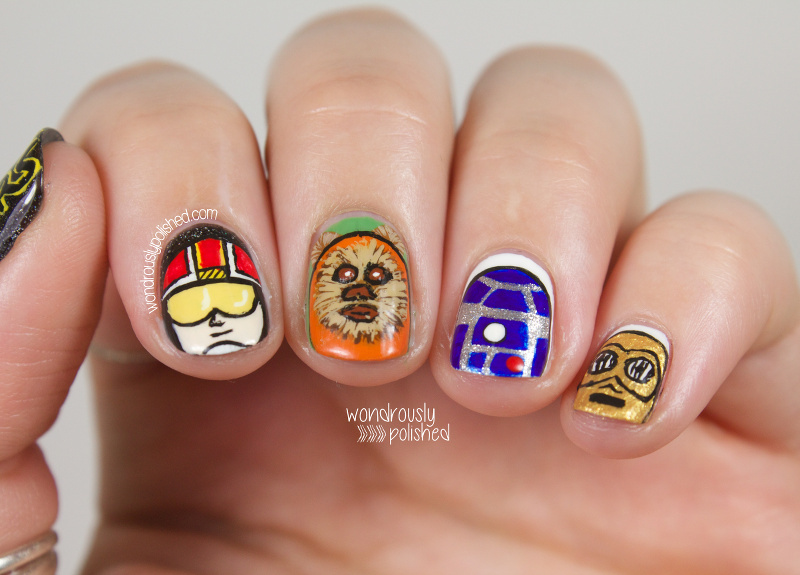 ewok on my middle, R2-D2 on my ring and C-3PO on my pinky. 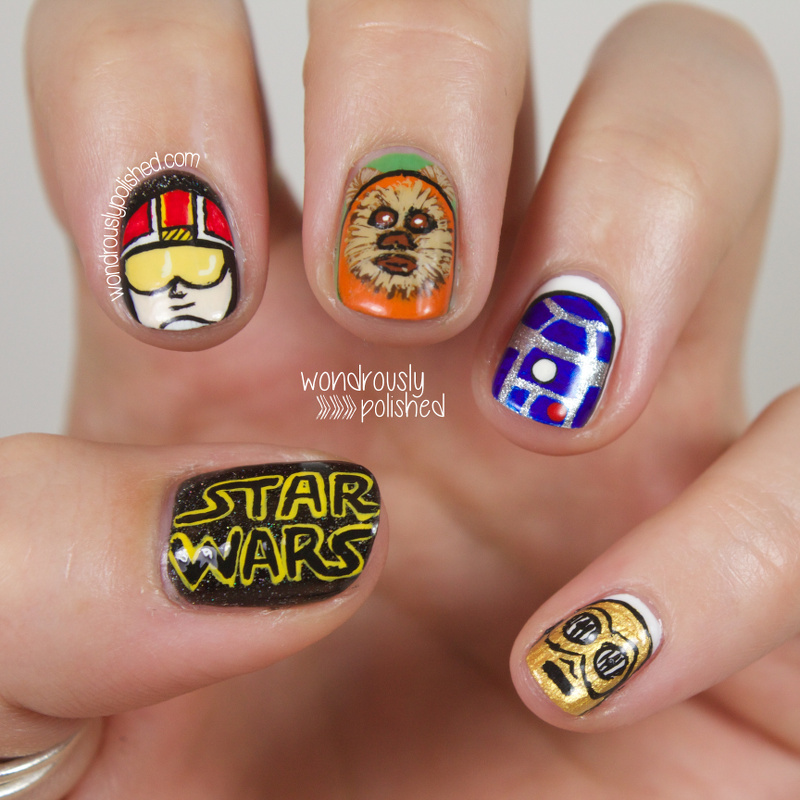 Did you do any nail art for today? I always enjoy doing theme days like this that only come around once a year (even if I fail at the nail art)! 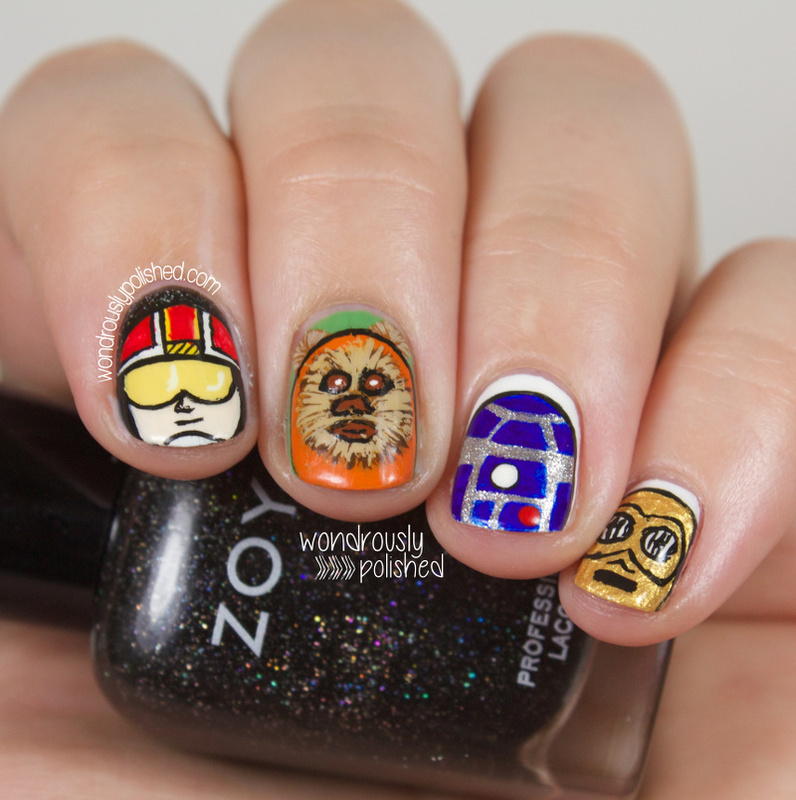 I also know of some people doing a link up for today so I figured I'd add mine anyway ;) Be sure to check out their May the Fourth nails!